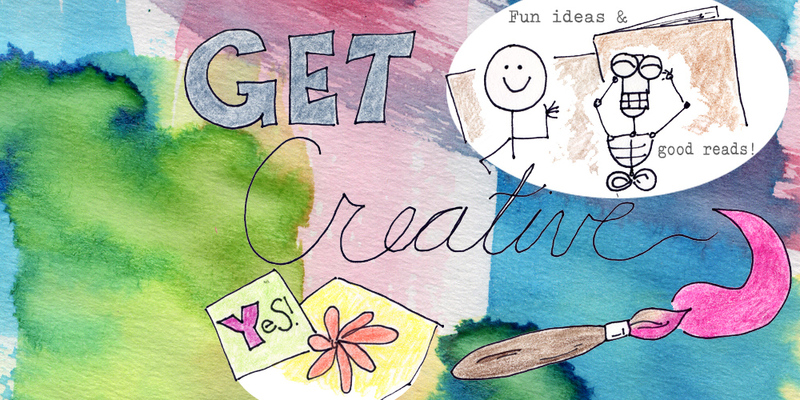 Of Good Cheer: Get Creative! The United States Library of Congress has extensive online resources. The Prints and Photographs division is one of my favorite places to poke around for a few minutes or more! Project Gutenberg offers over 57,000 free ebooks, no special apps or devices required. The Metropolitan Museum of Art is a feast for the eyes with a variety of rotating exhibitions and permanent treasures. Books are a great resource for prodding creative exercises. There are numerous creative writing books, and some of my favorites are Writing Down the Bones, Freeing the Writer Within and Wild Mind: Living the Writer's Life by Natalie Goldberg and Steering the Craft by Ursula Le Guin. For those who say, "I can't draw!" I would recommend the Draw 50 series by Lee J. Ames. His books are written for children, but anyone can benefit from the step-by-step instructions with basic shapes to learn to draw animals, vehicles and even people! The same is true for Ed Emberley's series of drawing books. 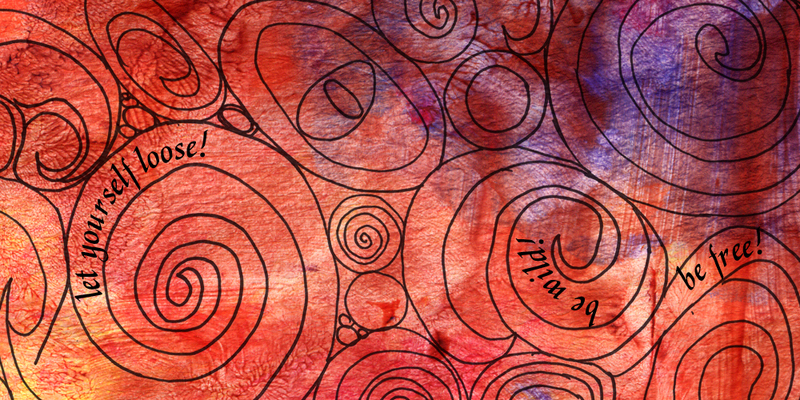 Wondering how to inject more creative energy into your day? Why not give yourself some assignments? Make some mud! Take 20 minutes to mix different colors from a watercolor tray. Try mixing colors with a little water (dry technique) then a lot of water (wet on wet technique). You'll be surprised what color combinations come to light! Get doodle-y! Give yourself a blank page and black marker and start drawing shapes - circles, squares, curvy noodles and squiggles. Let the pen go! You can even try some stick figures if you like - they're easy. 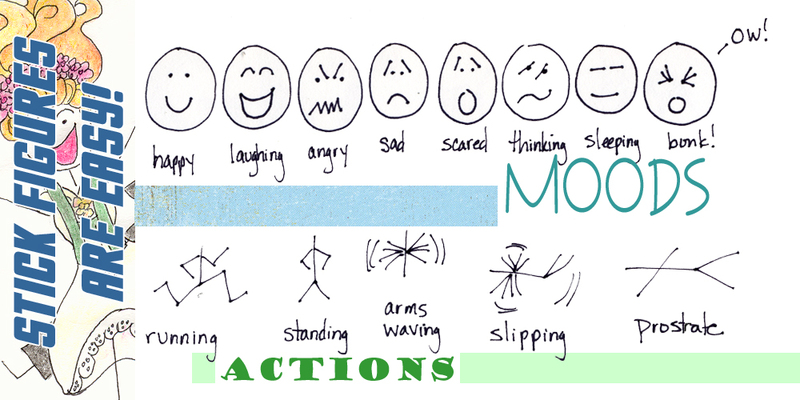 Pair an expression with a body and you are on your way! Be a sunlight seeker! Can you find sunlight in unexpected places? An unused closet? A corner of the room? Watch how indirect sunlight changes the appearance of materials, from cloth to food. Haiku are you? Write a haiku: first line is five syllables, second line is seven syllables, third line is five syllables. Run with scissors! 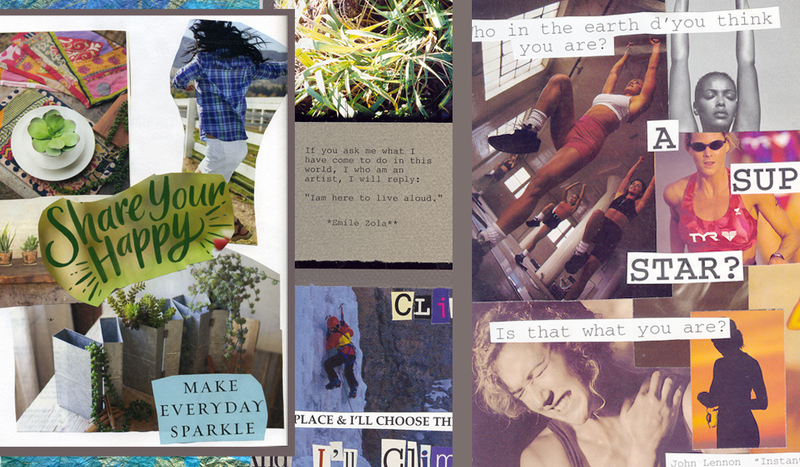 Make a collage from images cut from magazines or other printed material. True, craft stores offer amazing selections of papers and embellishments, but you can achieve similar results for next to nothing. Title thyself! It started with a pendant I liked showing an anicent Egyptian cartouche. I wanted to know what each side meant, and that led to an interesting search and discovery. A "cartouche" is an oval or oblong shape enclosing hieroglyphic names of Egyptian royalty, usually pharaohs. The Abydos King List is a table inscribed with a list of 76 kings of ancient Egypt found on a wall of the Temple of Seti I at Abydos, Egypt. (Seti I was a pharaoh of the New Kingdom 19th dynasty and father of Ramesses II.) I couldn't find the pendant cartouches in the King List, although a couple - such as for Tuthmosis III - looked similar. It turns out that both cartouches were prenomen (throne names) for pharaohs that came later: Tutankhamun and Ramesses II. Pharaohs had up to five distinct names; the prenomen and nomen (throne and personal names) are often carved together in monuments and temples. 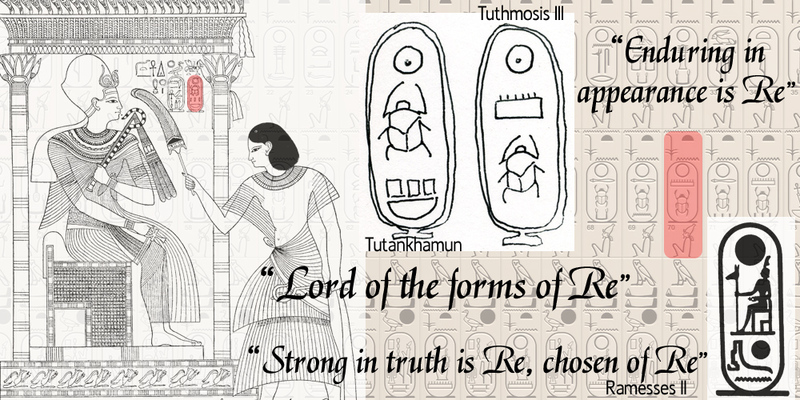 Prenomens usually contain descriptions in terms of the sun-god Re, such as Tutankhamun's "Lord of the forms of Re" or Ramesses II's longer "Strong in truth is Re, chosen of Re" while nomens contained the personal name (Tutankhamun, Ramesses II). 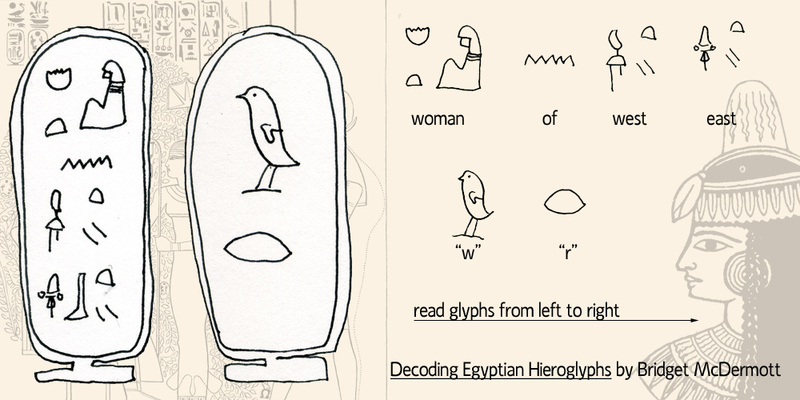 Using the book Decoding Egyptican Hieroglyphs by Bridget McDermitt, I created some cartouches for myself. Egyptian hieroglypics can be read left to right or right to left, and the direction is dictated by the orientation of the hieroglpyhs themselves; figures face the direction from which they should be read. I chose hieroglyphs for "woman of west east" as my prenomen (raised in the west with education in the east) and "W R" as my nomen for "valor". Find the book and try it! It's quite fun.